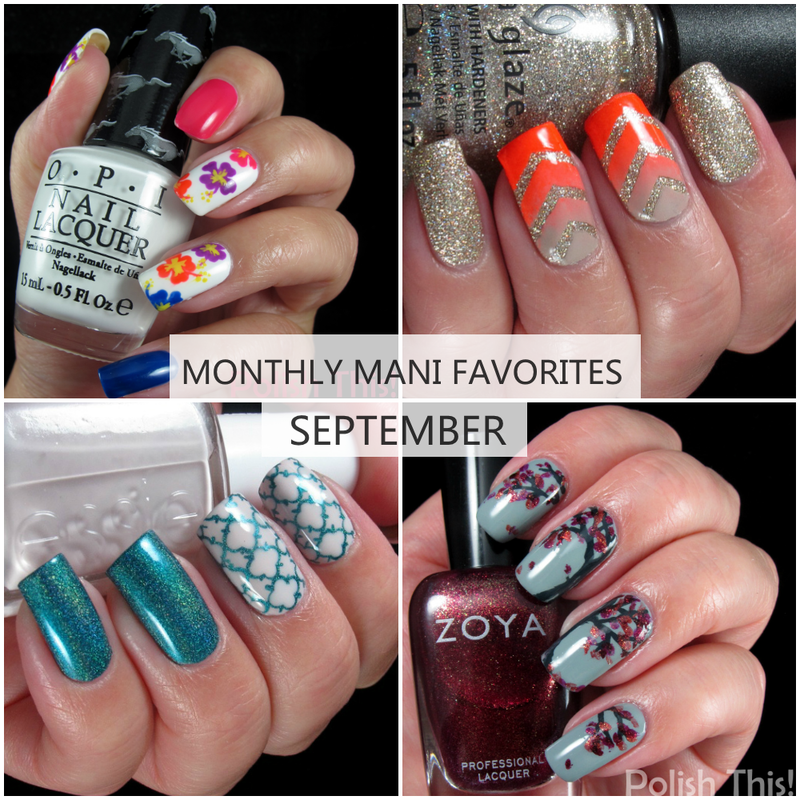 Monthly Manicure Roundup: September 2014 - Polish This! I feel like I say this every month but once again I can't really believe that it's October and September is already gone! It was a fun and busy month here in my blog too and I had quite many posts to share with you guys, so I really kept my promise about doing more posts. Of course the biggest thing on September was that we started our own nail art challenge, The Finnish(able) Nail Art Challenge! Infact, I have done five of those ten manicures for that challenge, so it has already really challenged me to do more nail art and more complicated nail art! I'm really looking forward continuing the challenge, I can't wait to do all those manicures. And also, I can't wait what everyone else is going to do for all those different themes. Remember, you can still jump in with us to the challenge if you havent already! 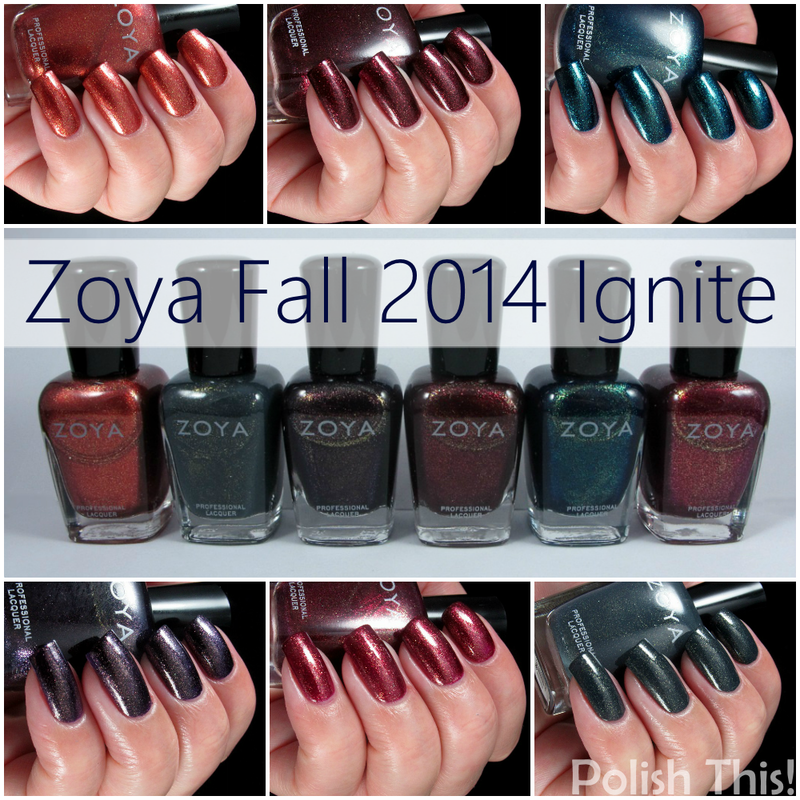 I also shared quite a few swatches with you, just yesterday I posted my swatches for the whole Zoya Fall 2014 Ignite collection. 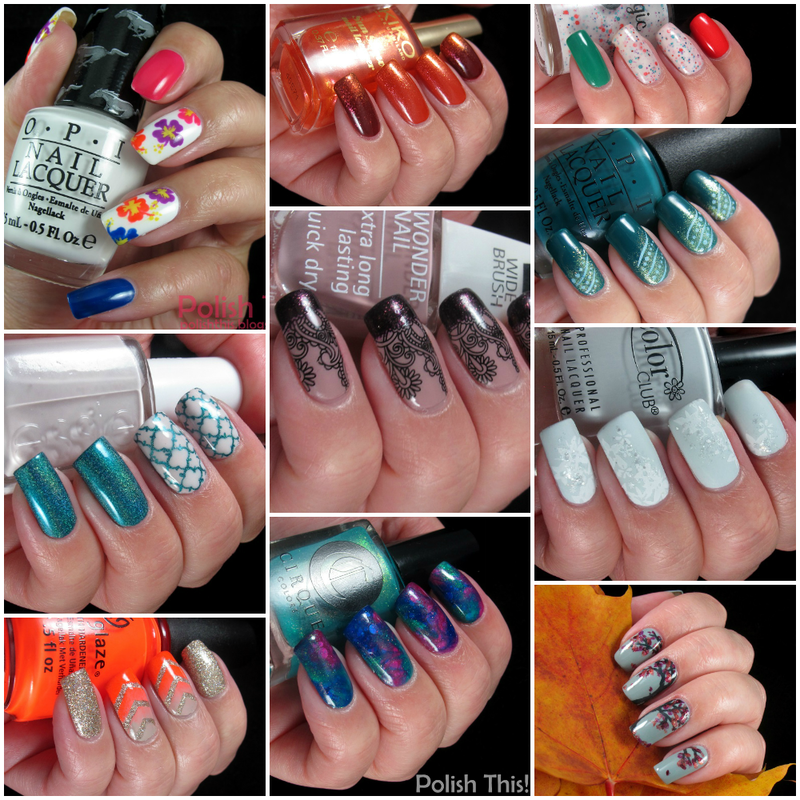 If you haven't read that post yet, be sure to check it out as all those polishes are really really A-M-A-Z-I-N-G! I also posted my swatches of another gorgeous fall collection, IsaDora Coffee & Poetry, and some more summery swatches with couple of OPI Coca-Cola Collection lacquers and three Kiko Sun Show polishes. I even managed to do couple Nail Polish Battles for you guys! First one was between some gorgeous bright minty cremes and the second one with also beautiful and bright orange-reds. In addition to all these I also wrote little something about fall nail polish trends and held even a quick giveaway. I also enjoyed doing all those swatches since many of the polishes were so amazingly stunning. Especially my favorites were all those fall Zoyas, IsaDora's Belle Beige and Autumn Leaves as well as OPI's Coca-Cola Red. Thank you, that's really nice to hear! :) September went by so fast, I can't believe it either!